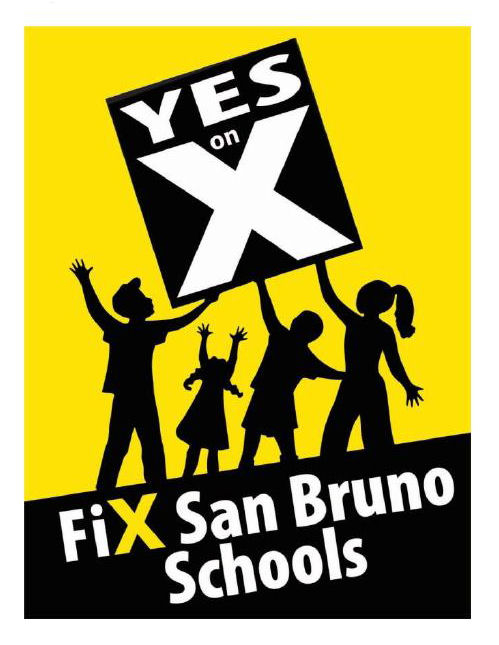 The Committee to Improve San Bruno Schools, comprised of dedicated parents and members of the community at large, will host a YES on X: Campaign Kick-Off on Wednesday, August 29th, 6:30 p.m. at the Senior Center. Measure X on the November ballot is to improve San Bruno schools that were built 52-76 years ago. Unlike our neighboring cities, it has been 20 years since San Bruno voters passed a school bond measure. San Bruno children deserve to have the same educational opportunities as others in the region. Measure X will help upgrade our schools, facilities, and classroom technology to keep pace with other top-performing districts. Even if community members do not have school-age children, a school bond is a wise investment because good schools improve the quality of life in San Bruno and protect the value of our homes. Come join us at the Kick-Off! We will provide an overview of Measure X and the community will have the opportunity to sign up for various volunteer tasks to ensure that our message is resonating in San Bruno. Children are welcome and light refreshments provided.